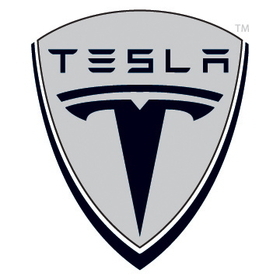 LOS ANGELES (Bloomberg) -- Tesla Motors Inc., the maker of electric Roadster sports cars, said it reached an agreement with Toyota Motor Corp. to supply powertrain equipment worth about $100 million. Toyota, which previously agreed to pay Tesla $60 million for development work on battery packs and motors for use in an all-electric RAV4 sport-utility vehicle, is paying the additional funds for packs and motors to be used in a version of the vehicle that goes into production next year, Tesla said in a regulatory filing on Wednesday. Khobi Brooklyn, a spokeswoman for Palo Alto, Calif.-based Tesla, declined to provide additional details of the contract. The supply agreement for the all-electric RAV4 runs from 2012 through 2014, Tesla said. Toyota bought a 2.9 percent stake in Tesla last year, as part of a deal in which the startup, led by Elon Musk, acquired a former Toyota-General Motors assembly plant in Fremont, Calif.
Tesla is to begin making its Model S electric sedan by mid-2012 at the factory, where it will also make battery packs and motors for the Toyota model.